US Senator Richard Burr, R-NC, was on the campus of Mid-Atlantic Christian University Wednesday, Oct. 17, for an Elizabeth City Area Chamber of Commerce sponsored breakfast event that was open to the public. He spoke about current events and the financial situation of our country, allowing for a time of questions and answers from those present. 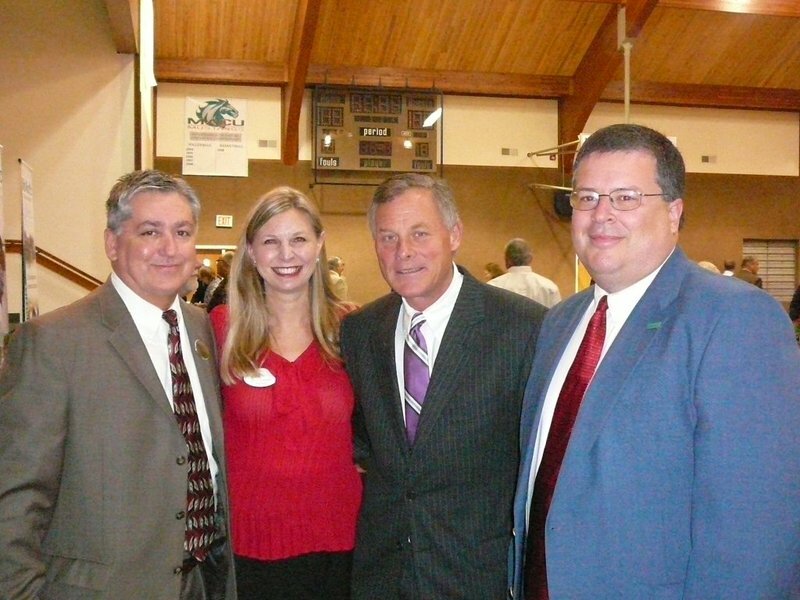 Pictured from Left to Right: President Clay Perkins, Chamber President Kelly Thorsby, Senator Richard Burr R-NC and Vice President for Development Keith Wood.